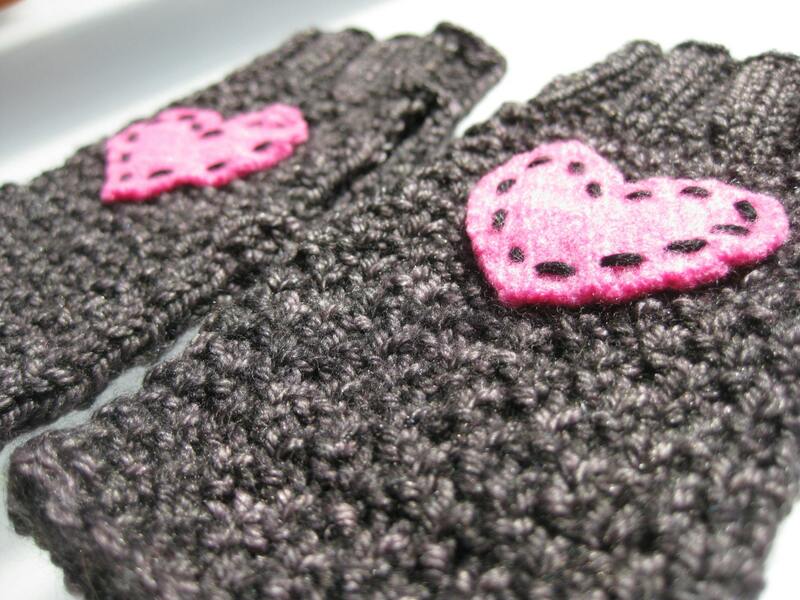 Bright-pink cashmere hearts on a gothic-gray cashmere-blend yarn = happy warmth. They're cozy toasty but leave your fingers free, and the hearts can be used to flash a message to a friend. Size: 5.75-inch length. Easily fit 7-inch circumference (should fit average woman's hand).